AAAClean provide affordable and professional carpet cleaning services in Margate, CT9 and the local area. We use the latest, commercial grade Prochem equipment and stain removal solutions that remove dirt, dust and grime from the dirtiest of carpets. Our highly qualified team of carpet cleaning operatives, can sanitise, deep clean and deodorise your carpet. Not only will your carpets be hygienically clean but they will also look like new and smell great, giving your home a new look and breath of fresh air. We clean with the highest quality child and pet friendly cleaning detergents which are all eco-friendly and have only non-toxic, organic ingredients. 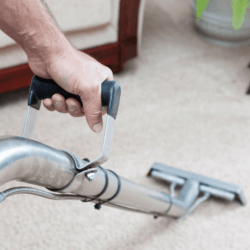 All of our carpet cleaning technicians are trained to the highest standard and is fully insured to clean carpet, curtains and soft furnishings in your home or office. We have over 10 years of experience cleaning all kinds of carpets, whether old or new, we can restore your carpet to its former beauty. We offer a no quibble carpet cleaning quotation to all prospective customers in Margate, CT9. To speak about your carpet cleaning requirements or just to have a quick chat, call us today or complete the quotation form and we will get back to you right away. For customers who are ready to book a carpet cleaning service, please use the online booking system to check our availability on a day that suits you. We work 7 days a week and our customer care team work from 9AM-6PM each day. Professional carpet cleaning in: Acol, Bay View, Birchington-on-Sea, Broadstairs, Brooks End, Cliffsend, Cliftonville, Ebbsfleet, Flete, Garlinge, Manston, Margate, Minster, Monkton, Newington, Palm Bay, Pegwell Bay, Ramsgate, Reading Street, Sarre, Sevenscore, St Nicholas-at-Wade, St Peter’s, Westbrook, Westwood and Westgate-on-Sea.